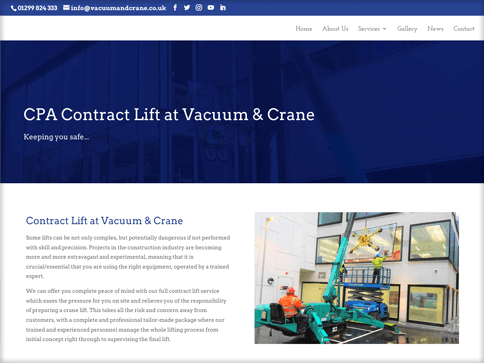 Vacuum & Crane approached us in need of a big refresh of their outdated, non-responsive website as they were struggling to keep their old one updated. 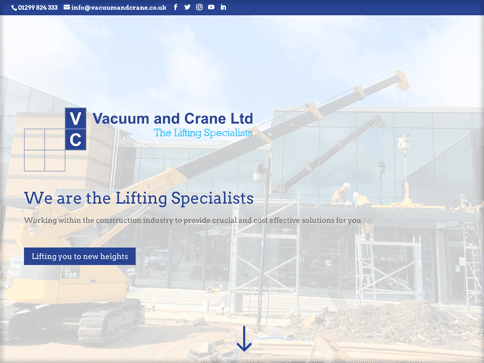 As specialists in beautiful responsive, content managed websites we felt eager to take on this project and give the Vacuum & Crane team a website to be proud of. 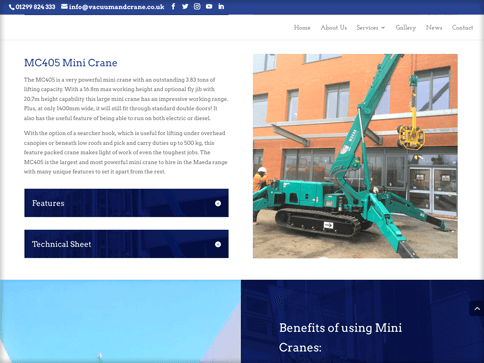 The plan was to get the website feeling cleaner and user friendly by decluttering the busy menu, simplifying the pages and including big & bold images to assist the user finding what they need. 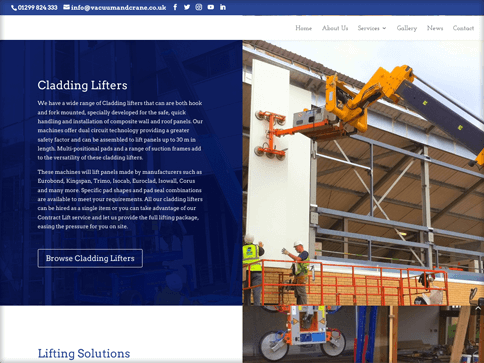 We started to build a dynamic & bright website that is much easier to navigate in terms of finding useful information. We also used drop down tabs to keep the spec sheets tidy & added a contact form on each page to ensure that the end user can easily get in touch. Overall the V&C team are very happy with the website. It is modern, colourful and more interesting to look at while being much easier for them to maintain and alter as they wish.